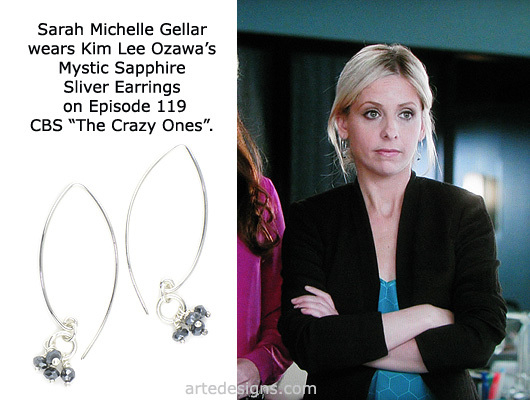 Handmade Jewelry As Seen On The Crazy Ones "Sydney Roberts" (Sarah Michelle Gellar), Episode "The Lighthouse”. Click to buy earrings like these. 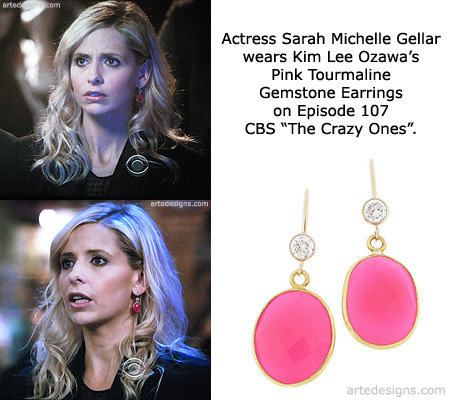 Handmade Jewelry As Seen On The Crazy Ones "Sydney Roberts" (Sarah Michelle Gellar), Episode "The Monster”. 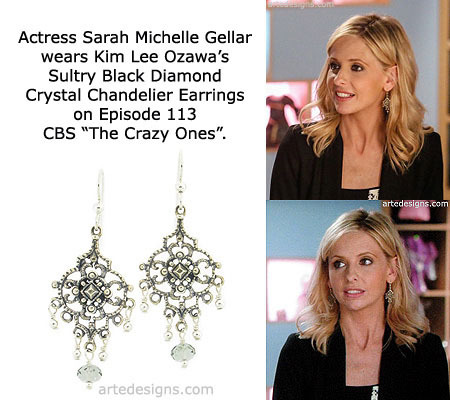 Handmade Jewelry As Seen On The Crazy Ones "Sydney Roberts" (Sarah Michelle Gellar), Episode "Danny Chase Hates Brad Paisley”. 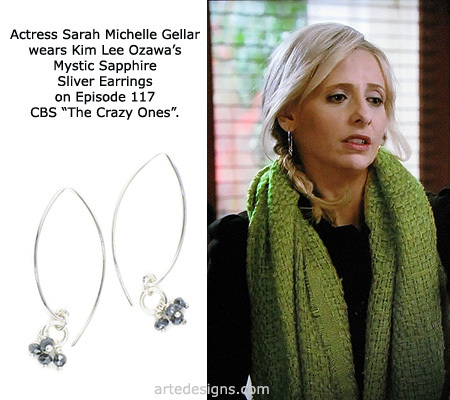 Handmade Jewelry As Seen On The Crazy Ones "Sydney Roberts" (Sarah Michelle Gellar), Episode "Heavy Meddling”. 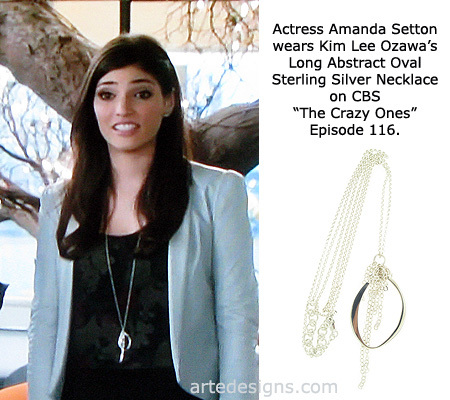 Handmade Jewelry As Seen On The Crazy Ones "Lauren Slotsky" (Amanda Setton), Episode "Zach Mitzvah”. Click to buy a necklace like this. 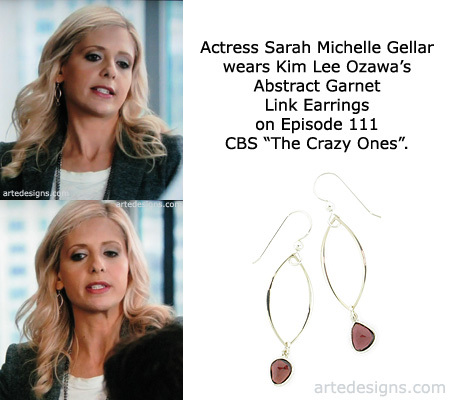 Handmade Jewelry As Seen On The Crazy Ones "Sydney Roberts" (Sarah Michelle Gellar), Episode "Outbreak”. 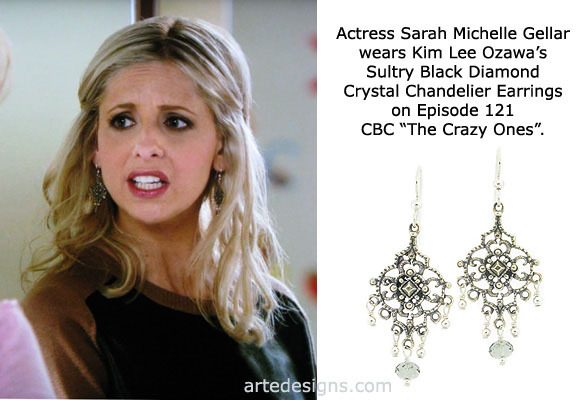 Handmade Jewelry As Seen On Sarah Michelle Gellar, The 40th Annual People's Choice Awards intro. 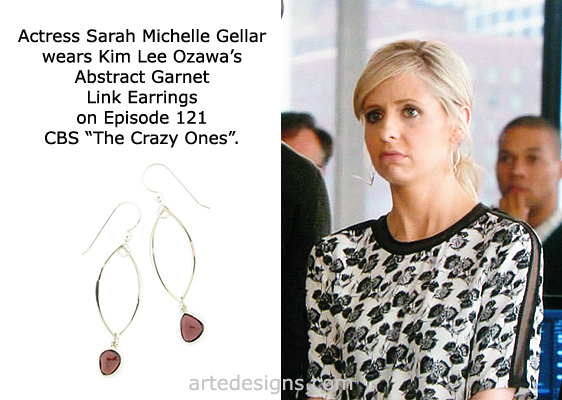 Handmade Jewelry As Seen On The Crazy Ones "Sydney Roberts" (Sarah Michelle Gellar), Episode "The Intern”. 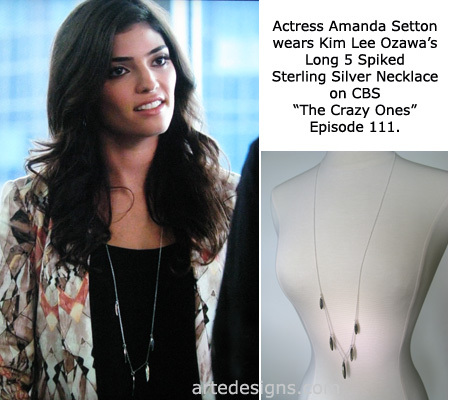 Handmade Jewelry As Seen On The Crazy Ones "Lauren Slotsky" (Amanda Setton), Episode "The Intern”. 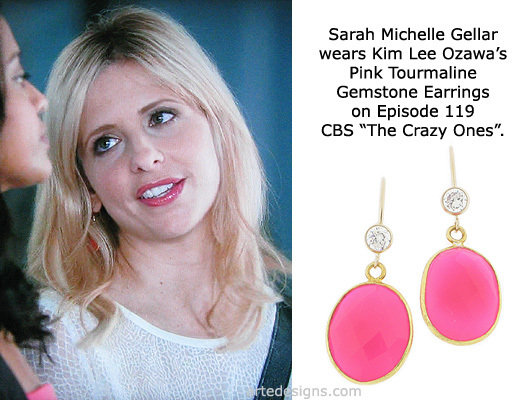 Handmade Jewelry As Seen On The Crazy Ones "Sydney Roberts" (Sarah Michelle Gellar), Episode "Sixteen-Inch Softball”. 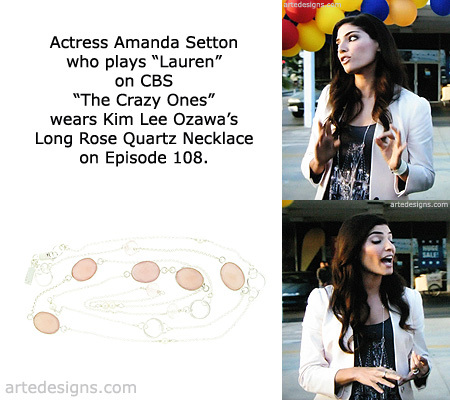 Handmade Jewelry As Seen On The Crazy Ones "Lauren Slotsky" (Amanda Setton), Episode "The Stan Wood Account”. Contact us to Special Order this Necklace. 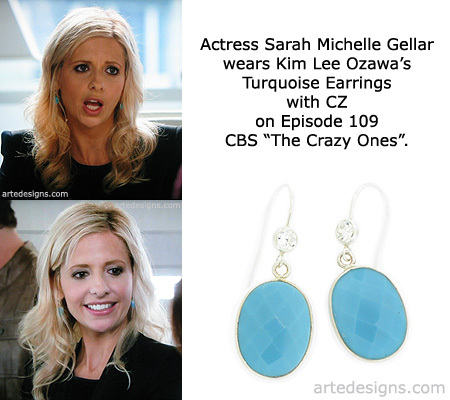 Handmade Jewelry As Seen On The Crazy Ones "Sydney Roberts" (Sarah Michelle Gellar), Episode "Sydney, Australia”. 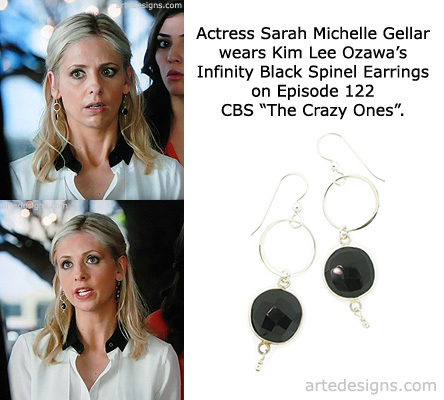 Kim Lee Ozawa's handmade jewelry has been purchased by many hit TV shows and Films. 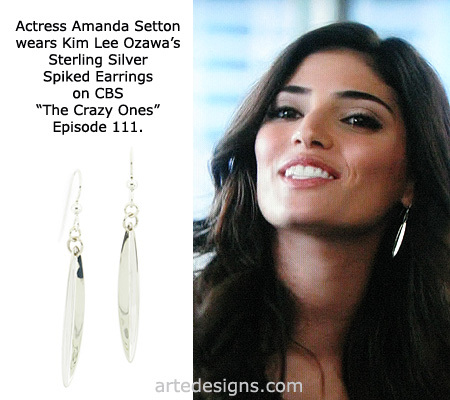 Her earrings, necklaces, bracelets, and rings are sold worldwide so you can shop jewelry designs seen on some of your favorite shows and actresses.